The iPad is surely one of the biggest technology revolutions in the last few years. Today, Apple had an announcement related to the iPad in classrooms, and the way digital textbooks are going to change the way we learn, and teach. At its education-focused media event today, Apple introduced iBooks 2, an updated version of the company’s e-book software for iOS devices. 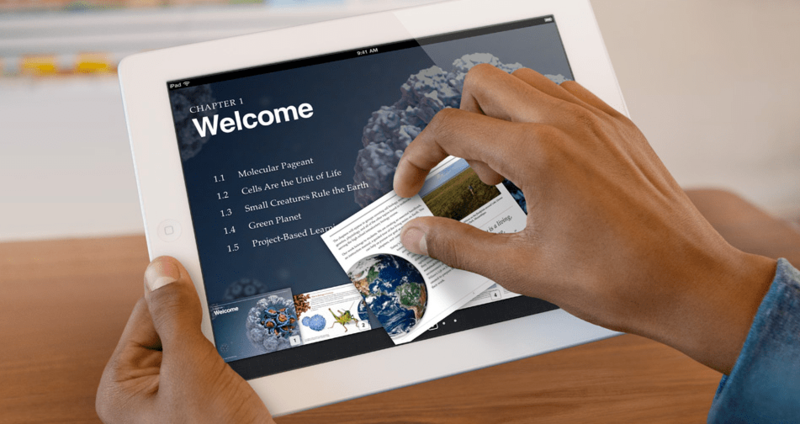 The update comes as part of a push into interactive digital textbooks in partnership with a number of major publishers. – Tap glossary terms to see definitions of key topics and concepts without leaving the pageApple is partnering with McGraw-Hill, Pearson, and Houghton Mifflin Harcourt on the textbook front, with the three companies currently responsible for 90% of textbook sales in the United States. 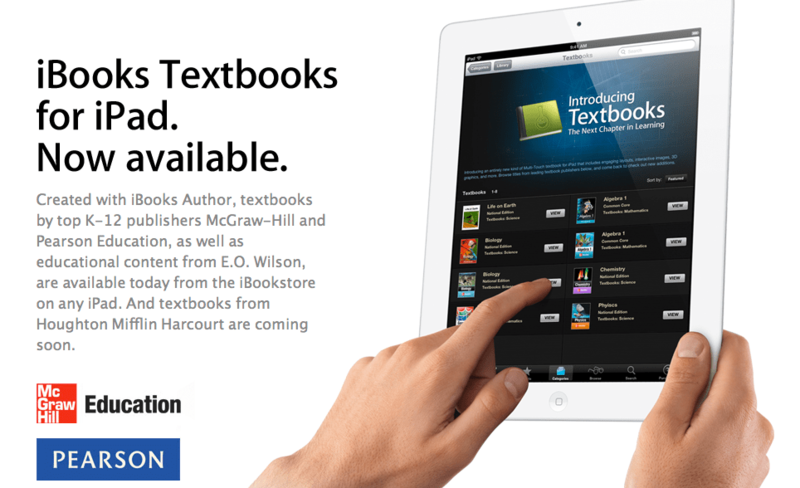 McGraw-Hill and Pearson are rolling out a handful of introductory titles today, with more coming soon. 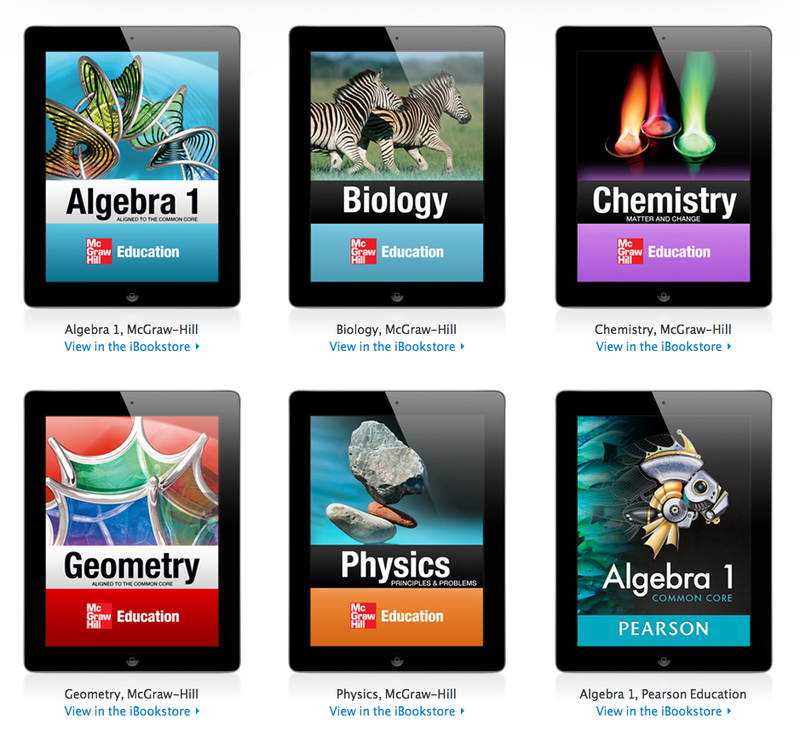 Apple’s initial focus for its textbook effort is on high school textbooks, with books priced at $14.99 or less. Authors can continually update their content, and the students get to keep their copies indefinitely. iBooks 2 is a free download from the App Store, available as an update to the existing iBooks app. Here is a nice video showcasing the way iPads are being used in schools.